I have been making our own bread for quite a while. If I have enough time on my hands I usually make sourdough bread but it is not as failproof as normal yeast dough and really time consuming. 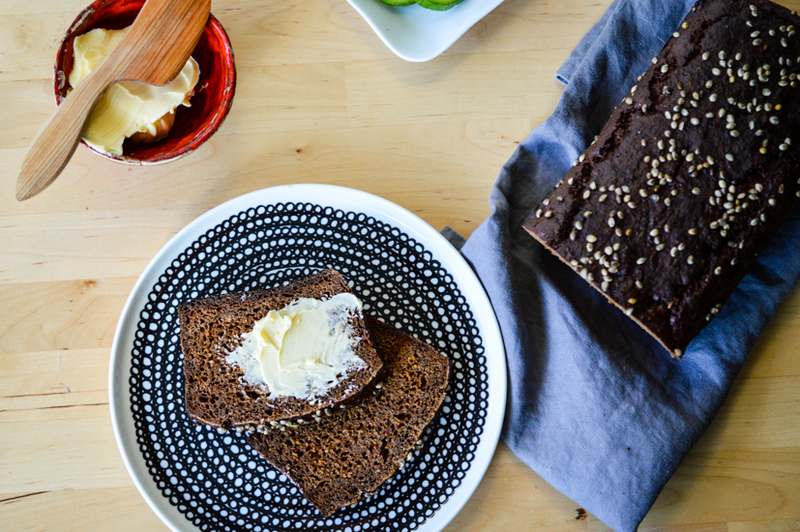 For a few weeks now I have tried to master an Estonian sourdough rye bread but I keep on failing miserably. I can tell you that nothing is worse than having to throw a fresh loaf into the trash! I decided to have a break from Estonian bread making, so next on my agenda was a traditional Finnish bread – saaristolaisleipä. 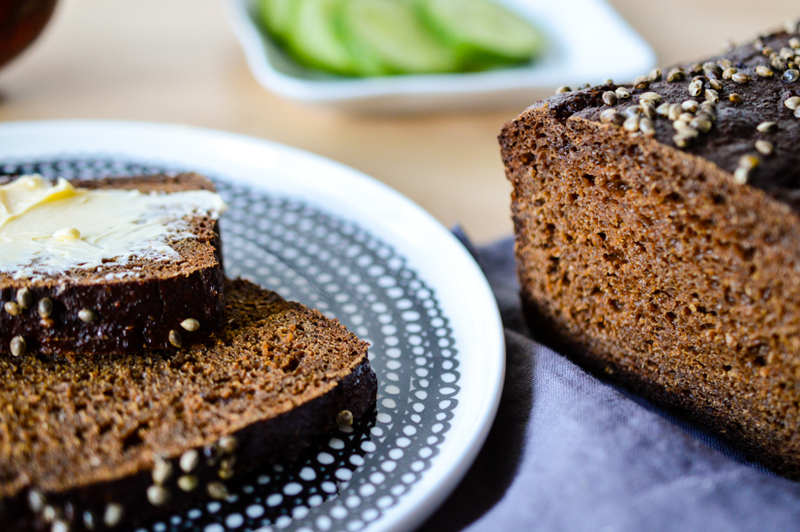 Often translated as Islander or Archipelago bread, it consists of rye and wheat flour with rye malt and dark syrup. 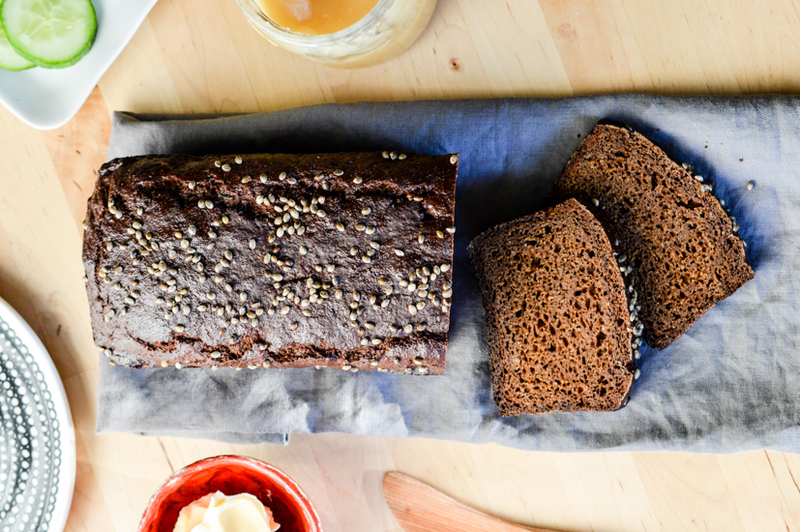 The malt gives the bread the dark look that is typical for this bread and the syrup a soft and sticky consistency and a slight sweet flavour. 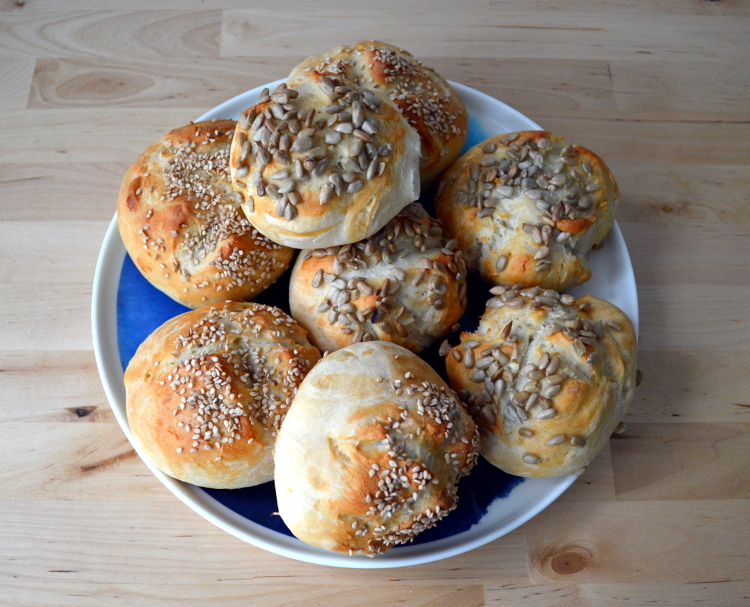 And the best thing: it isn’t a sourdough bread and therefore easier to make (at least for me). The recipe I used was originally for three breads but in case I would fail again I only made two. I also converted the measurements into grams since Finnish recipes mostly use deciliters for measuring and it tends to confuse people too much. Take a saucepan and heat the buttermilk on the stove until it’s lukewarm. Crumble the yeast into it and let is dissolve slightly, then add the syrup. In a big bowl mix all the dry ingredients (including spices if you like) and then slowly add the buttermilk/yeast mixture while stirring with a wooden spoon or silicone spatula. 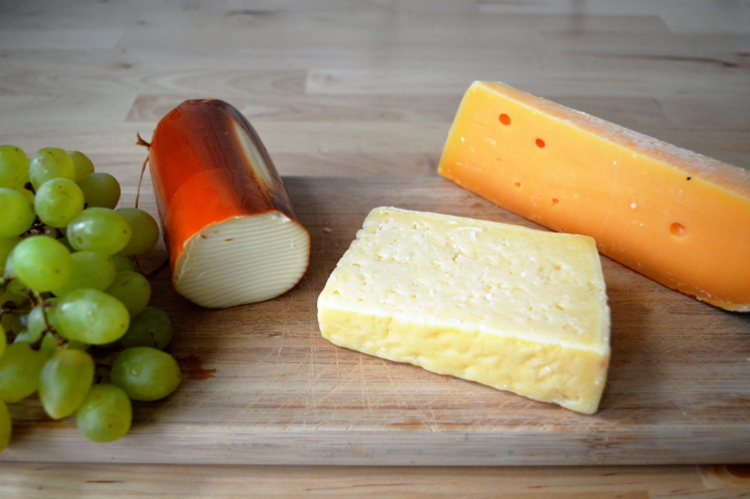 You don’t have to mix it for long but make sure everything is properly incorporated. The dough will be quite liquid, unlike wheat dough. Cover with a towel and let it rise for around 1,5 hours in room or above room temperature. I put it on our bathroom floor which has floorheating. Make sure to check the dough every once in a while because how fast it will rise depends a lot on the temperature and also texture of the dough. The dough is ready when it has doubled in size. Make sure to preheat the oven to 175°C before the rising time is up. Grease two loaf tins with butter and divide the dough into two parts. Distribute it equally between the tins and smooth out with wet hands. You can then add hemp seeds on top of the breads if you like. Bake them on the lowest rack for 2 hours. Spray a bit of water into the oven or keep a little bowl with water underneath the breads to keep them moist. Depending on your oven you might need to cover them with tinfoil after an hour to prevent the top from burning. For the sticky glaze mix the syrup with the water and brush the breads with it 15 – 30 minutes before they are done. 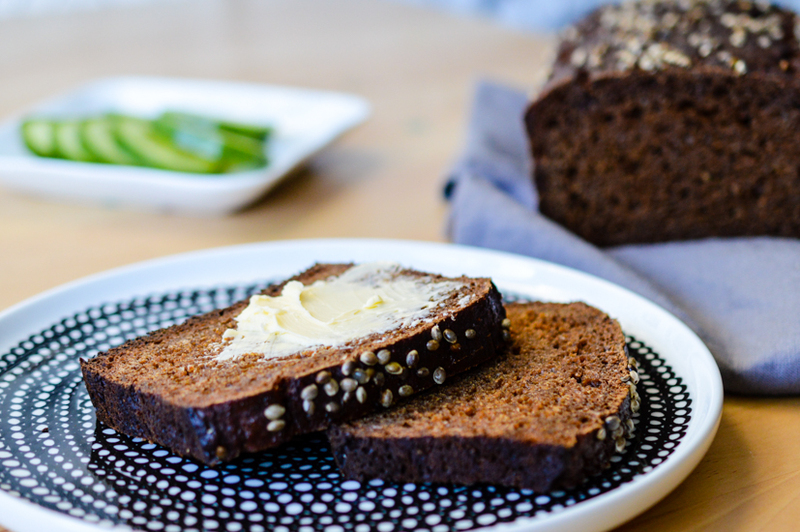 When the time is up, take the breads out of the tins immediately and brush the rest of the syrupy water on them. Then wrap each in parchment paper and wrap firmly with two towels. Let them cool down like this completely or best overnight so they are well rested in the morning. Now it is time to taste your bread! Enjoy! 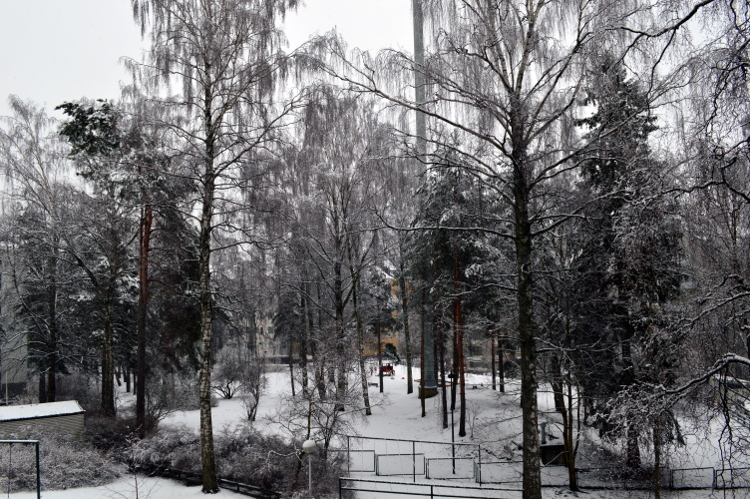 I was looking forward to a nice spring weekend but this is what I saw when I woke up in the morning. We already had such nice weather with flowers starting to bloom. Now we’re expecting 10 cm of snow. 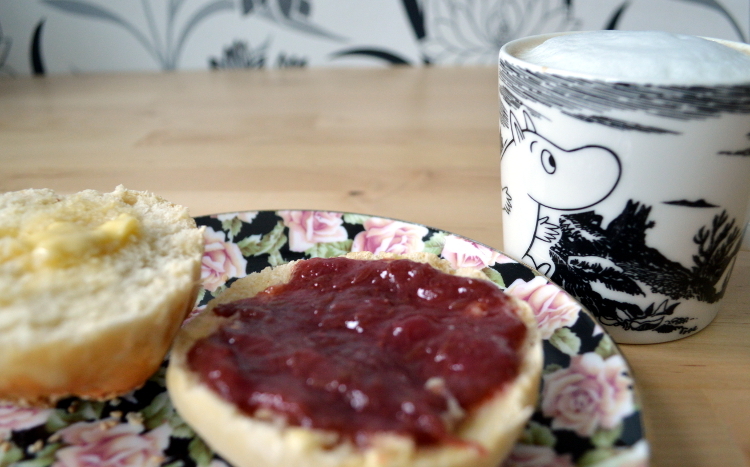 Time for some comfort breakfast! These buns don’t take much time and most importantly: they don’t leave a huge mess in the kitchen. Nothing worse than having to clean up the whole place at 8 in the morning. Line a tray with parchment paper. Mix the honey with the yeast and mix into the lukewarm water. Add it with the salt to the flour and make a dough. It should not be sticky once everything is mixed well. 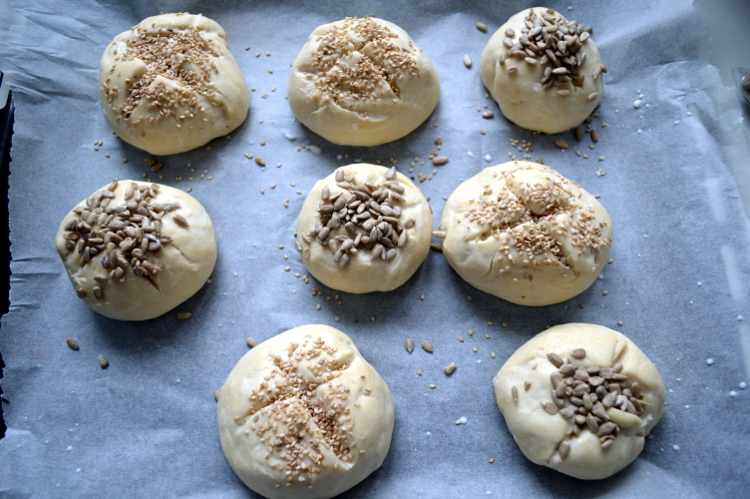 Cut the dough into 8 pieces, roll out buns and let them sit on the tray for 30 minutes. If you want to you can cut a cross into the top before you let them rest. Preheat the oven to 200°C. 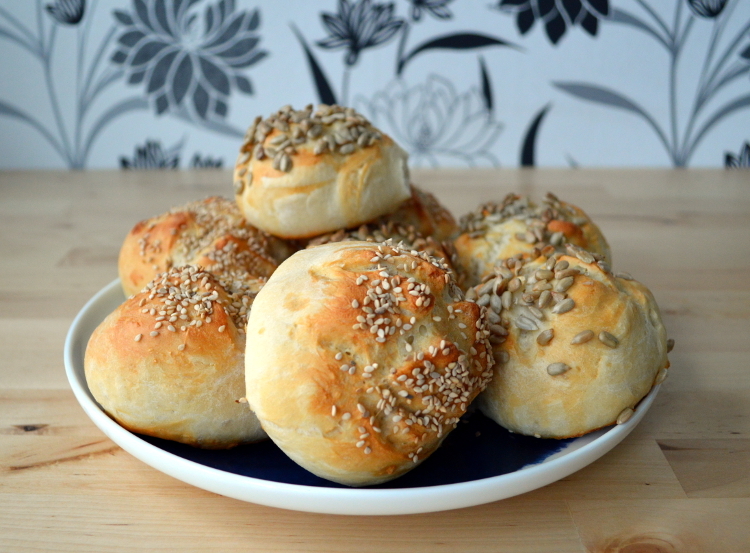 Brush the buns with milk and sprinkle sesame, sunflower or pumpkin seeds on top. Bake them for around 20-25 minutes. Enjoy sweet or salty. 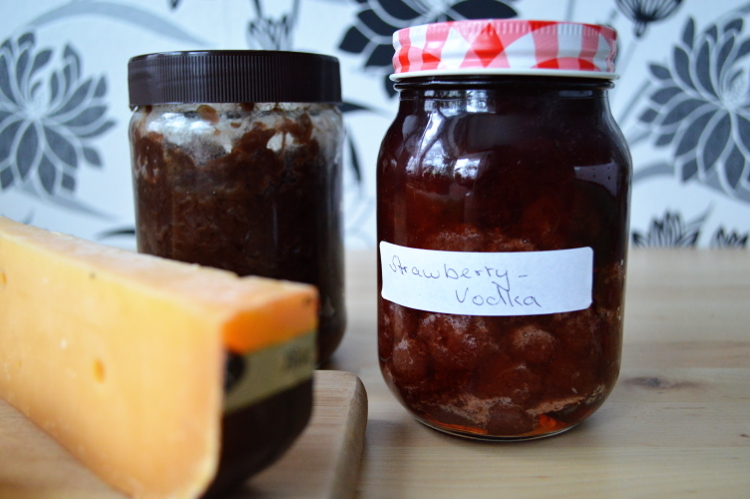 We still had some self made marmalade and onion jam. I came along this nice looking recipe on Pinterest and I immediately wanted to try it out. It’s really tasty and I didn’t miss the eggs at all. 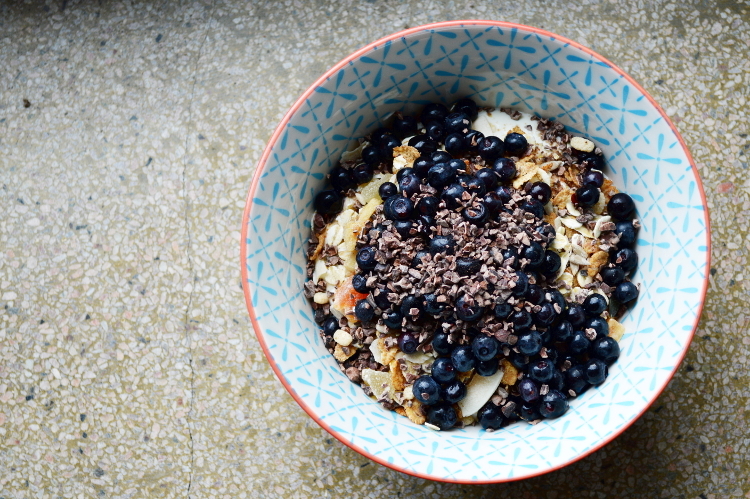 Good for Sunday mornings if you don’t have any eggs in the house and don’t want to go out and buy some. 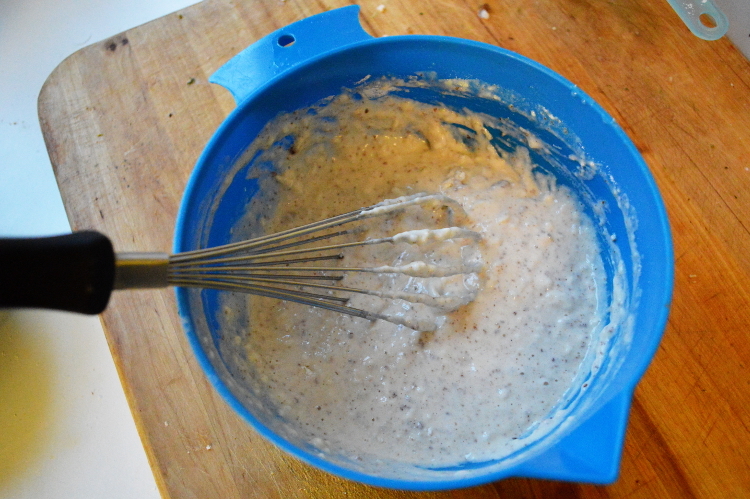 To make the flax egg mix the ground flax with 2,5 tbsp of water. Let it thicken up until it’s used for the dough. 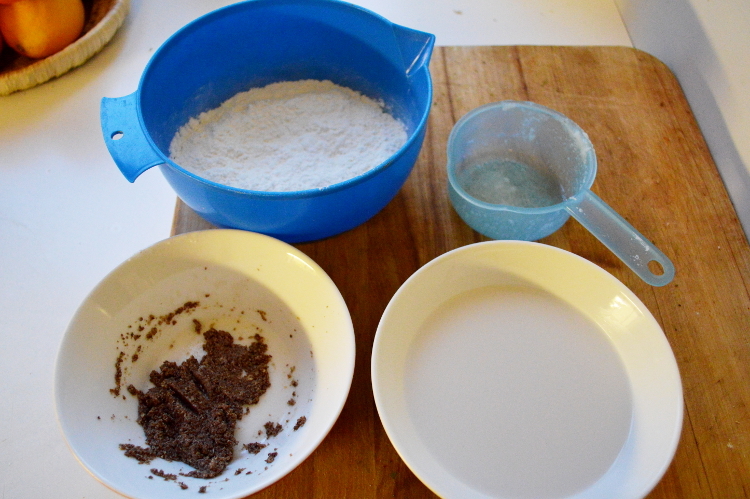 In a bowl mix together the flour, sugar, soda, baking powder and salt. 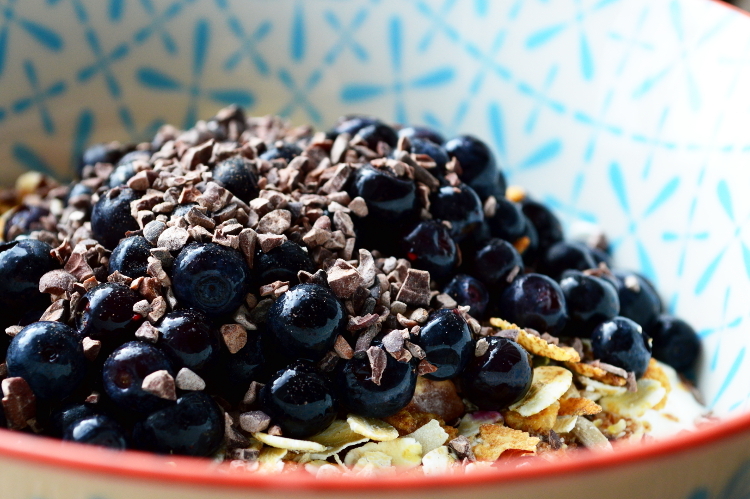 In a second bowl whisk the almond milk, vinegar, melted coconut oil and flax egg together and carefully stir it into the dry ingredients. Don’t overbeat it. Everything should be just incorporated until a few lumps remain. 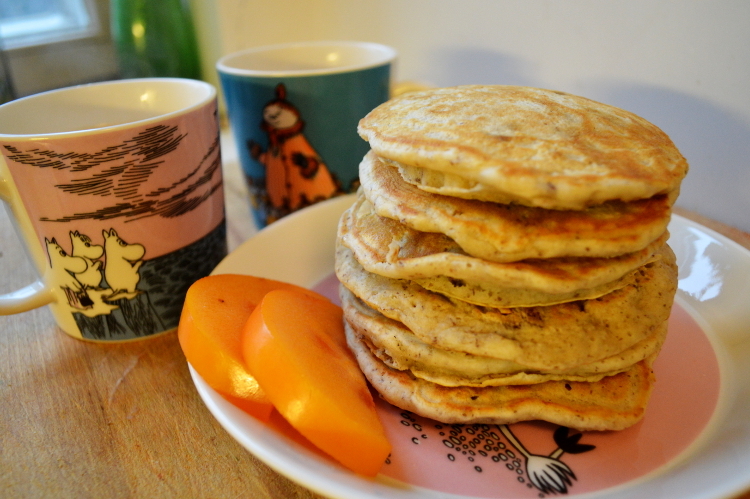 Then it’s time to make the pancakes. If you have a non sticky pan you don’t need to use any oil with it. 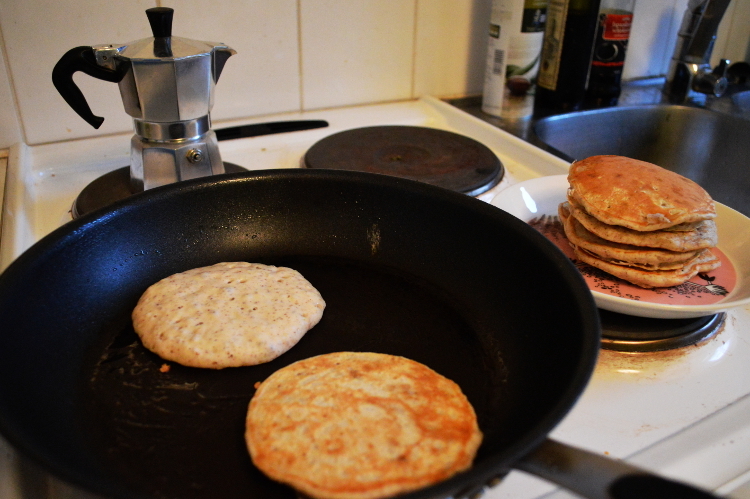 No matter if you make small or big ones, if the dough begins to form big bubbles in the pan, you can flip the around. 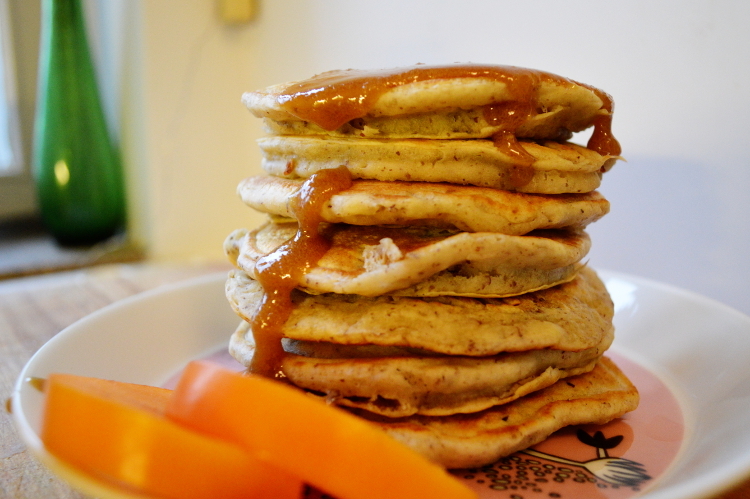 Serve them with fruits or syrup (and coffee)! Enjoy!